Bayern Munich vs Hertha Berlin predictions for this weekend’s German Bundesliga. Bayern continue their chase of the top spot when they host Hertha at the Allianz Arena on Saturday. Read on for our free betting tips and match preview. Hertha Berlin have produced a number of shocks in the 18/19 campaign so far, one of which was inflicting a first defeat of the season on Niko Kovac’s Bayern back in September. More recently, just two weeks back actually, the Berliners brought Borussia Monchengladbach’s 100% home record to an end with a 3-0 win at Borussia Park. Pal Dardai’s men have now lost just 1 of their last 5 league matches (W2 D2 L1) too, so they remain genuine contenders for a top six finish. Second top scorer Vedad Ibisevic is, however, suspended for Saturday, but with but forward Davie Selke in good form (3 goals in his last three across all competitions), coach Dardai isn’t short of an alternative. Bayern Munich were involved in Champions League action during the week, drawing 0-0 away to Premier League giants Liverpool. Coach Kovac seemed content with the result, and no doubt he’ll be just as happy with his side’s current standings in the league too. Bayern’s 3-2 win away to southern neighbours Ausgburg last weekend saw them close the gap to just three points of Dortmund with a home meeting against the league leaders still to come. Bayern’s boss may, however, look to make a few changes to give a few players a breather, such as that of Real Madrid-loanee James Rodriguez, who has featured in each of Bayern’s last five outings. While any meeting against Bayern is a tough one, the visitors shouldn’t be without their chances. Keeper Manuel Neuer may have put in a good shift to keep a clean sheet during the week, but he hasn’t quite been the same impenetrable wall of years gone. He, nor keeper Sven Ulreich in his absence, have kept a clean sheet in Bayern’s last five Bundesliga games and when looking back further over the season as a whole Bayern have actually only managed to keep out their opponents in 20% of their home matches. 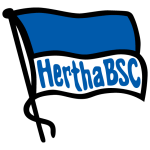 Hertha’s scoring record on the road, meanwhile, has been very consistent – the Berliners have scored in each of their last seven away days, including against some of the Bundesliga’s strongest defences in Dortmund and Gladbach. However, Hertha’s own defence has been very hit and miss, and there’s no looking past that here. With Bayern very much in goal-scoring form, against weaker opposition in the league at least, it’s tough to see the visitors doing much to stop them. Bayern have scored three goals or more in four of their last five at the Allianz Arena and, unsurprisingly, Robert Lewandowski has found the back of the net in three of these (60%). Hence, there is value to be had adding ‘Both Teams to Score’ to a bet on the resurgent hosts – BTTS has landed in 70% of Bayern’s home and 64% of Hertha’s away days after all – and going off that we like the look of a correct score prediction of ‘3-1 Bayern Munich’. 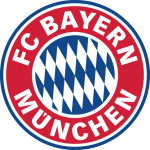 Bayern München haven’t won any of their last four games against Hertha (D3, L1); their longest current run against any Bundesliga opponent. Hertha BSC are the only Bundesliga team that Bayern failed to score a goal against in the whole of 2018. Hertha have failed to win away at Bayern in the Bundesliga on each of their last 23 attempts (D5, L18) – their last victory there came in a 2-0 win in October 1977. FC Bayern have won nine of their last 10 Bundesliga games (L1), and have collected more points than any other team in this period (27). Bayern München haven’t kept a clean sheet in any of their five Bundesliga games in 2019, letting in eight goals in total – the last time they conceded as many goals in the opening five Rückrunde games was 17 years ago (2001-02). Bayern have won each of their last four Bundesliga home games, last winning as many consecutive games on home soil between October 2017 and February 2018 (8, which was ended by a 0-0 draw with Hertha). Hertha haven’t lost any of their four games this season against the current top three (Dortmund, Bayern and Gladbach), claiming an impressive 10 points from those matches. Hertha have scored 35 goals across the opening 22 matchdays – the last time they had netted as many goals at the same stage was 10 years ago (also 35). Hertha have won their last two Bundesliga away games, and are looking to make it three straight top-flight victories on the road for the first time since December 2013. Berlin’s Davie Selke has been directly involved in six goals in the five games since the winter break (2 goals, 4 assists) – together with Julian Brandt (3 goals, 3 assists), he has had a hand in the joint-most Bundesliga goals in 2019.